Mu Beta Psi in conjunction with the Michigan Tech Jazz Association presents Jazz Night on the Town, on Thursday Feb. 5, from 8 p.m. to 12 a.m. at the Orpheum in Hancock. There will be a $5 minimum donation at the door. The night will be opened by one of Michigan Tech’s Jazz Groups, AstroSax, consisting of some of the best student jazz musicians at Tech. Closing/headlining the night will be Northern Standard Time, consisting of Michael Christianson on trombone and tuba and Michael Irish on guitar. Mike and Mike are both professors in the Department of Visual Performing Arts. Michael Irish is a well-known guitarist and Michael Christianson has traveled around the world, been on Broadway and played with many famous bands. This concert supports the John MacInnes Memorial Scholarship, an award presented by Mu Beta Psi to Tech students involved in music programs. Sarah Fayen Scarlett (VPA) joined former colleagues from the Chipstone Foundation to receive the Wunsch Award for Excellence in American Arts. Scarlett worked as a curator for Chipstone for seven years before joining Tech’s faculty in Visual and Performing Arts. Chipstone promotes original research and innovative education programs in material culture studies within universities and museums. The Wunsch Award is honoring Chipstone’s exhibition program at the Milwaukee Art Museum, scholarly publications, online initiatives with ArtBabble and immersive programming for college students interested in publicly-engaged scholarship about art and design. New York – Christie’s is pleased to announce that Americana Week 2015, a series of auctions, viewings and events, will be held from January 16-26. In all, Americana Week 2015 will offer over 520 lots and is expected to realize upwards of $6 million. In conjunction with the sales, Christie’s will also host the third annual Eric M. Wunsch Award for Excellence in the American Arts on January 21, honoring Arnold Lehman and The Chipstone Foundation. Read more at Christie’s Press Center. 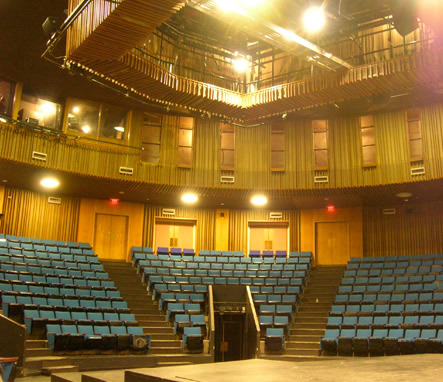 Visual and Performing Arts faculty attended the Kennedy Center American College Theater (KCACTF) Region 3 Festival, Jan. 6–10, 2015, in Milwaukee. MC Friedrich presented a workshop on costume draping, Christopher Plummer presented a workshop on wireless microphones and Josh Loar taught a workshop on using QLab for theatrical sound design. Trish Helsel was the workshop coordinator for the entire festival. 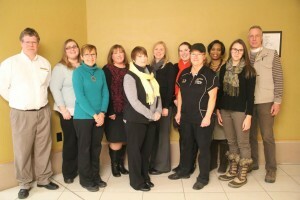 Several staff members were honored with Michigan Tech Staff Council Making a Difference Awards at an awards program in the MUB Wednesday, January 7, 2015. To say that Mary took over as interim director of the Rozsa during a difficult time would be an understatement. Despite enormous challenges, Mary came in and led the Center to a successful season. As Mary’s nominator put it, “She has met each challenge with a lot of courage, a little smile and a whole lot of class.” This would be difficult for a veteran, which makes her rookie performance even more impressive!